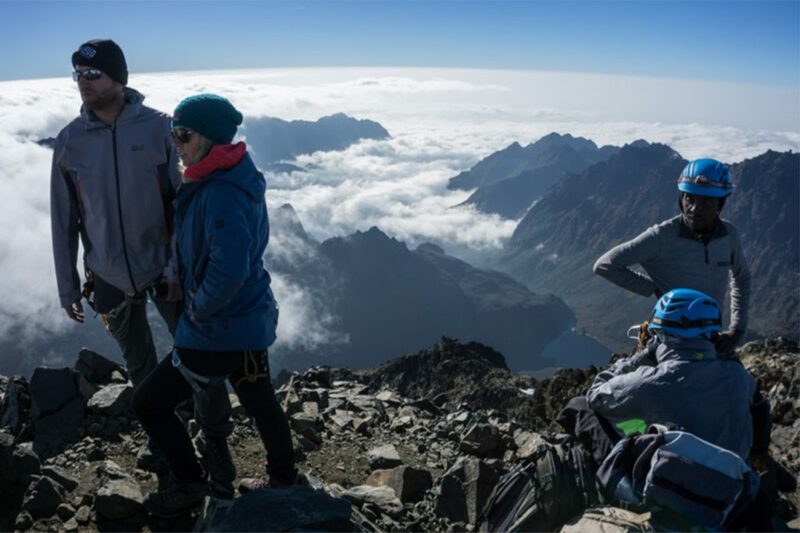 This adventure includes beautiful scenery, tropical forests and Africa’s third-highest summit, Margherita Peak. 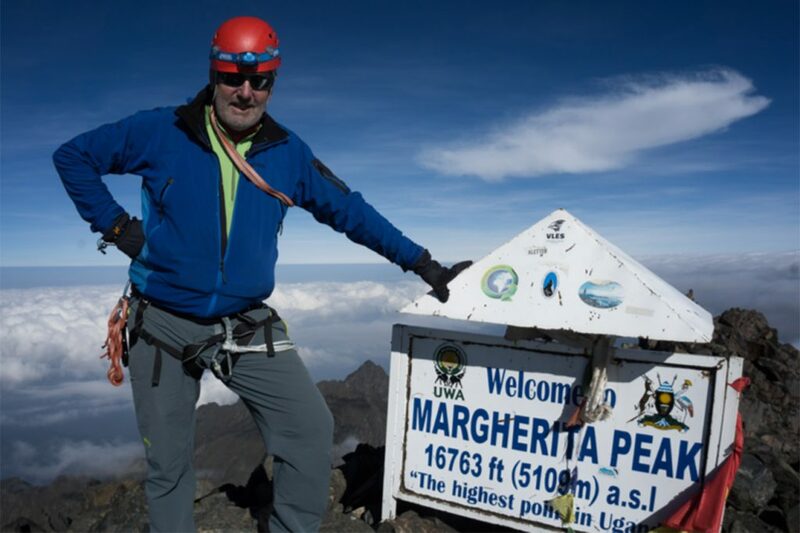 At 5109m, Margherita Peak is less high than Mt Kilimanjaro. It is also less well known and less frequently climbed. However, it requires more technical skill and every bit as much stamina and determination. Depending on the season, the climb can present a number of difficulties such as rain and mud. Still, adventurers will be well rewarded for their efforts. 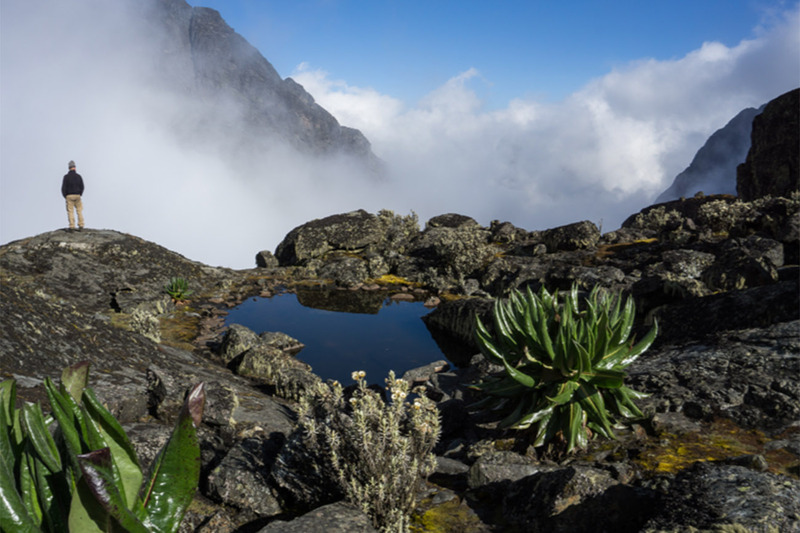 The hike features spectacular vistas, astonishing flora, chattering monkeys and colourful birds. Tackle hilly areas of bamboo and giant heather. Navigate steep rocky outcroppings. 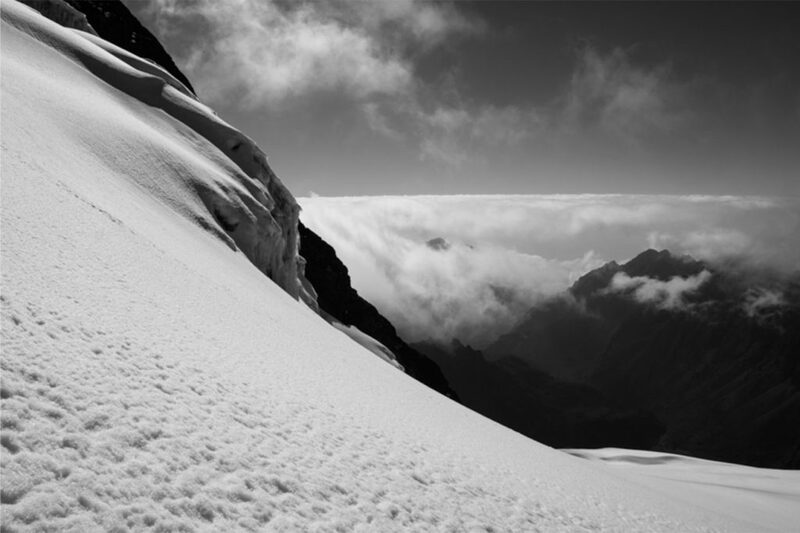 Finally, anyone taking on this route will traverse ice planes as the summit nears. Some technical climbing skills are required to reach the top. 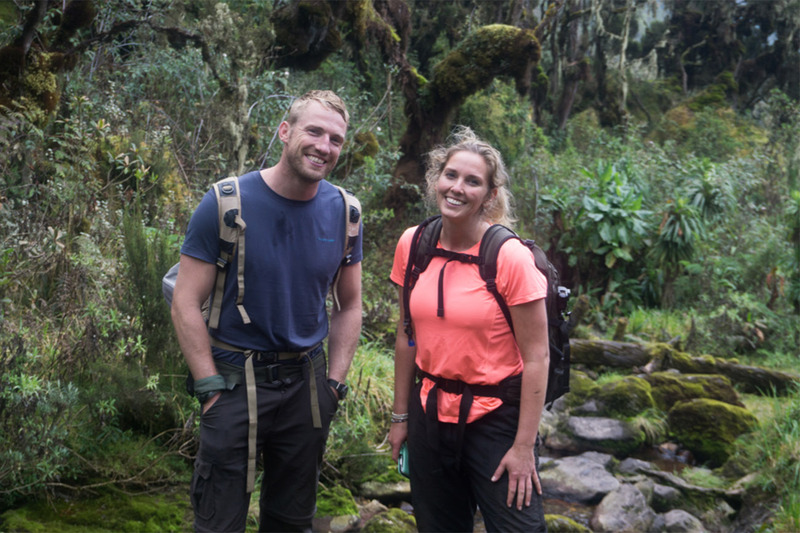 If you’d like to find out more, follow the progress of a Venture Uganda client as he takes on the 9-day trek. There are even options for someone who is unable to climb to the top of Margherita. 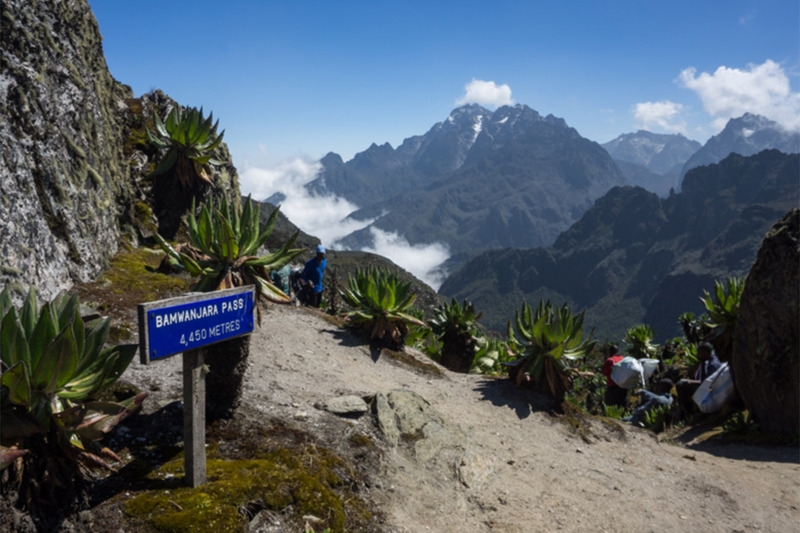 Day one: Setting off from the Rwenzori National Park entrance on the walk up through the dense forest. A multitude of birds species and even some Colobus monkeys on the way to Sine Camp. Enock’s Falls is the perfect spot for an evening shower. Day 3. The trail to Bugata Camp provided some of the easiest walking of the entire trek in dry conditions. Tussock grass and Giant Lobelias abound as the landscape takes on a much different feel. In different conditions, this can be a boggy slog. Day 4: The steady climb to Bamwanjara Pass helped with acclimatisation. Here we gained our first views of Mt Stanley, Mt Baker, Wiesmann’s Peak and into the Democratic Republic of Congo beyond. Day 5: At Marguerita Camp 4485m. Contemplating the 2am start next morning for the summit. Even on the Equator it often snows in the afternoon so the mountain is climbed early, with some steep scrambling by torchlight. Day 6: The summit of Margherita Peak 5109m at 9.00 am. High above the clouds on top of Africa’s third highest peak in perfect conditions. There are some short sections of technical (but easy) climbing as well as roped descents on the glacier below. An amazing climb with stunning views in every direction. Snow on the Equator. The much diminished glacier below Margherita Peak, thanks to climate change, a fraction of its size when the Duke of Abruzzi made his ascent in 1906. Day 7. 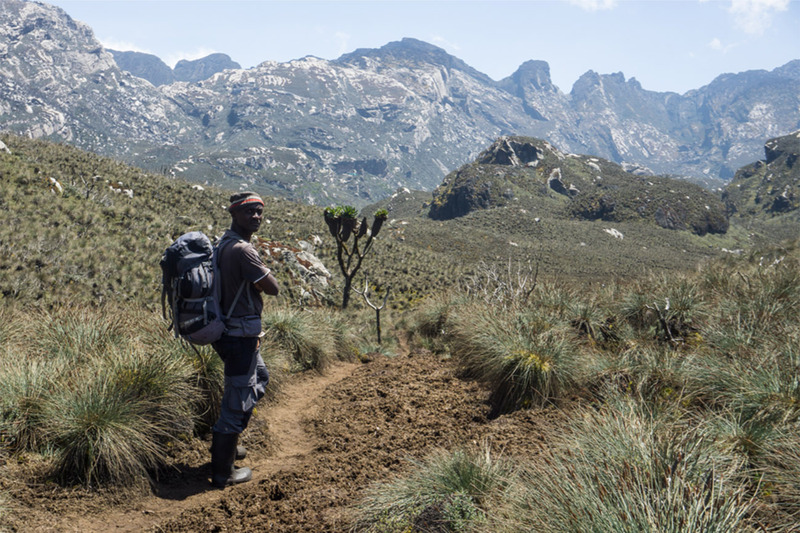 A final look back at Mt Stanley (left) as we head back to Bugata Camp – this time crossing Oliver’s Pass, tired but enjoying the endless variety of the landscape. Day 8: Back to civilisation! 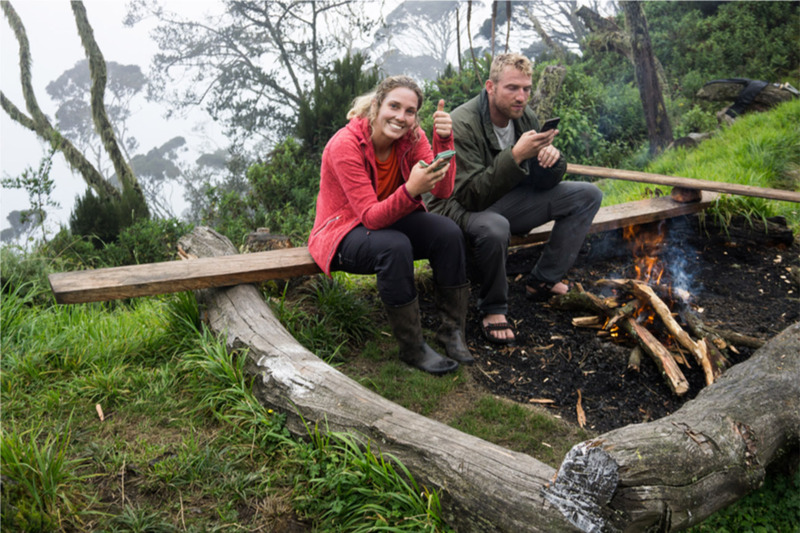 A final evening around the campfire at Samalira Camp before the long descent to base camp in Kilembe on the last day of the trek.